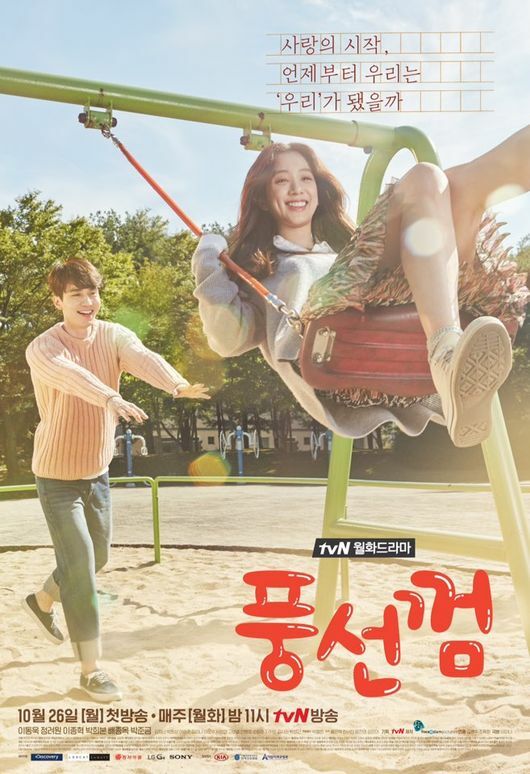 "Bubble Gum" takes over the tvN Mondays & Tuesdays 23:00 time slot previously occupied by "Ugly Young-A (S14)” and followed by "Cheese in the Trap" January 4, 2016. First script reading took place September 8, 2015 at Nuri Square Business Center in Sangam, Seoul, South Korea. Jude Mar 15 2019 6:25 am Sooo boring. Only watched coz its DW. Mark Villon Feb 10 2019 11:39 pm In Episode 10, I cried like a baby! This is one of the best dramas I've watched so far. All episodes are worth my time. Ivy Flower Dec 21 2018 1:04 pm I love Unnie Jung Ryeo Won since the first time I watched the drama History of the Salaryman.. Fighting Unnie!!! Fire and dream Apr 06 2018 11:18 am I love this drama. Not perfect but worth praises. I love Haeng Ah character. She know what really counts in her life and in spite of her painful experiences, her heart not being bitter but constantly sweet. I love the sense of humor this drama have, naturaly funny. The leads chemistry was no joke. Lee dong wook and jung ryeo won looks perfect together on this drama. I like lee dong wook here more than lee dong wook in goblin. Recommended! Fire and dream Apr 06 2018 11:17 am I love this drama. Not perfect but worth praises. I love Haeng Ah character. She know what really counts in her life and in spite of her painful experiences, her heart wasnt bitter but constantly sweet. I love the sense of humor this drama have, naturaly funny. The leads chemistry was no joke. Lee dong wook and jung ryeo won looks perfect together on this drama. I like lee dong wook here more than lee dong wook in goblin. Recommended! ❤️?? Jano Aug 05 2017 3:13 pm First time I watched Jung Ryeo Won in My lovely Kim San Soon and I feel in love with her acting and looks. Since then I started watching her films and TV series. nono Jul 14 2017 8:35 pm I love the actors in other things but there is no way I am going to watch a drama with such a stupid, childish title as Bubble Gum. Please. Kdramas need better titles. Z Jan 30 2017 11:20 pm Question: Who is this Woo Bin?? Hansangki Jan 22 2017 3:44 am I always love this drama. The chemistry between Park Ri Hwan and Haeng Ah is soo great. And I love how they so concerned about their jobs. Kim PD is cool and the fact that Park Ri Hwan chose to be a herbal doctor is so sweet. Plus I love the childhood friend become lovers theme. Love! Aiko Dec 27 2016 2:48 am The leads's chemistry is superb! So natural.. Though the middle episodes little bit boring, but it's still a good drama. Hary YK Apr 27 2016 8:26 am Beautiful drama with beautiful cast in it. pixy Jan 24 2016 10:39 pm Wow... first of all I wanna thank Director Kim Byung Soo for bringing out such a beautiful cinematography. I bet the editing team had through a hard time to deliver nice and smooth scenes. I love the twist and how they reveal it eventually. I love how in the end every scene are actually connected. I love the script and narration. Kudos for all the crew!!! Overall I think this show is very beautiful. I love how all cast acted naturally. There is nothing new about this drama, it's just like every other KDrama. I mean, there is chaebol, somebody is sick, triangle love story, but what impressed me is how they wrap it into a very nice plot and storyline. I also laughed and cried hard every now and then.... hehehehe. BTW, this is the first time I see Jung Ryeo Won's acting, but I already fall in love with her. I think she is gorgeous. I love how beautiful she is with her hair put down naturally. Also Bae Jong Ok is beautiful as always. Shay Jan 19 2016 11:19 am So I absolutely adore the two leads. And the storyline is interesting enough. But why did I find this one of the most boring dramas I've ever watched? I kept hoping it would grab me. Never did. A drama I had high hopes for turned into a very mundane drama. Esther Jan 14 2016 5:08 am I so recommend this drama. I loved it. It is so cute and makes you feel happy!! They have great chemistry and it was so fun watching the drama!! Wolveyreigne Jan 09 2016 11:56 am A very heart warming drama! It reminds that life is indeed full of trials but it's just how you handle those with your loved ones. It's really nice to love and be loved! :) Great Casting and Great Storyline! Good Job Lee Dong Wook & Jung Ryeo-Won and the whole team! Recommended! Xam Dec 27 2015 5:11 pm guys this drama is awesome! The first episode is slow, but you keep watching it and wow. Pretty good drama. Adna Dec 27 2015 11:20 am I loved this drama, made me cry soooo much!!!!!!!!! dyanosaurus Dec 24 2015 2:04 am just finishing ep 1, so boring, i'm not interest to watch next eps.,. Karin Dec 20 2015 8:10 pm Disappointing drama. This drama's story line is a little bit boring and slow to me. BG Dec 20 2015 11:35 am FEELS all the way !! love Jung Ryeo-Won gorgeous beauty that ived never noticed before,. Lots of love !!! K Dec 20 2015 2:59 am Lovely. Each ep is like a mini indie flick with such beautifully drawn characters. Definitely NOT for the impatient or attention-challenged. And OMO! teeny-weeny Ri Hwan and Haeng A? Cuteness in a bottle! Ahmutt Dec 18 2015 4:29 am So boring. I'm like waiting for something to happen. Just finished Ep 5. Feel like giving up. Notadan Dec 17 2015 1:30 am Horrible drama. Waste of my time. Pei San Nov 27 2015 9:33 am An endearing drama with realistic kissing scenes. Most female lead actress don't do well in kiss scene but Jung Ryeo-Won sure does it naturally, make it more convincing that she and Ri Wan are in love. Sakura Nov 21 2015 2:01 am bubblemgum is so amazing it makes my day really great... every episodes are worth to watch...love love love it so much!!!! Jungle_fish Nov 19 2015 6:43 pm For those who ask about ost, you can try to search Alex - 널 향한 나의 시간 or Kim na young - 내겐 그대 , maybe that's whay you're looking for..
lute Nov 19 2015 2:55 am I'm still confused, who is the guy that they called 'woobin'?? they often mention that name..
suk2014 Nov 18 2015 8:25 am I hate kind of slow drama but this drama i follow without see how many time left. Meaning its not boring at all for me. monstar ❤ Nov 18 2015 12:15 am apart from that bubblegum kiss scene in episode 8, i still dont get the connection of the title to the show. but that bubblegum kiss tho, it's romantic but, erm, kinda gross, like sharing a toothbrush, but worse. lol. it was still cute to watch tho. im sure they had to pull some camera tricks to not exactly have that happen. eww. haha. eliza Nov 17 2015 11:15 pm I love this show. It is thoughtful, mature, sweet, simplistic, and realistic. I love the main couple, but I also like the side characters too. Each character feels so human with virtues and flaws and their motivations make sense. It's not a "drama-filled" drama because the tone is so refreshingly real. A++! Rhesus Nov 15 2015 1:28 pm @clem i havent watched this show, but could it be "because I" by Lasse Lindh? I know that song should be in The show somewhere. Natasha Nov 15 2015 10:41 am Am I the only one that hates Haeng Ah and Ri Hwan together? I like Yi Seul for him. Oh well.. I really hate Haeng Ah. Annoying character. Sukma Nov 10 2015 7:31 pm I had a feeling that haeng ah would die bcs her llness. But I hope it's just my freaky feelings bcs I've had too much drama. i have a bad feeling about this drama though. it's all light and funny now, just a tad bit sad but i have feeling it's all downhill after this. it will be gut-wrenching heart-breaking drama. tsk. and Ri Hwan is just too kind. something bad always happen to kind people in kdrama. always. but really super curious about who maeng woo bin's going to be, zo in sung please XD or Seo In Guk since he always cameos in tvN dramas. clem Nov 08 2015 2:05 pm Please help me find name and artist of the song plays in the end of episode 4. Zhaoul Nov 08 2015 1:53 pm Loving this drama so much. Great cast. anna Nov 08 2015 11:45 am So glad that you guys answered the whole woo bin mystery. ..I was wondering who he is. Di Nov 07 2015 6:12 pm There are some of you who's wondering about Woo Bin. I just remember Ri Hwan Haeng Ah photos at restaurant and there is another child (boy) in their photos. I think that's Woo Bin. Hopefully Woobin make an appereance soon. Can't wait. This drama is so much fun and realistic i just love all the character. Even with the frustated Kang Suk Joon. monstar ❤ Nov 05 2015 6:02 am to Fabuluv: im also wondering who he is. im always imagining Kim Woo Bin everytime he mentions the name woo bin lol. the character is not even listed in the credits here in asianwiki. more surprise characters probably. Fabuluv Nov 04 2015 11:45 pm Who is meng woo bin??? They keep referring to him and I just wanna know who he is? Am i the only one who is curious? Aigoo aigoo Nov 02 2015 9:57 am @Che you are not alone. Lee dong seems to get better looking with every passing year. He is so darn smaxy. I loooooooove this drama as well. che Nov 02 2015 12:09 am I really like this drama. I hope it still interesting until the end of episodes. Is it only me here find Lee Jong-Hyuk so handsome. I am more attracted to him that to lee dong wook. But I still love lee dong Wook.. looking forward for this drama.. Funny bunny Nov 01 2015 8:31 am For me this is the best drama since a long time. I like the pacing and how the story is unfolding. I especially love the last bit of back story. I am looking forward to my Mondays and Tuesdays. Fighting Bubblegum cast and crew. Anna140 Oct 30 2015 8:27 pm I watched first two episodes of this drama...it's so darn good. Just the kindda drama I want to watch all snuggled in cold wintry night. I love lee dong and even jung ryeo is great. I want to see how their story unfolds. Fighting bubblegum. Yui Oct 29 2015 4:04 am i dunno... but i like this drama for many reasons. chemistry, story, comedy, acting.. one package... i rarely watched LDW's drama... but i think, this is one of the best since My Girl.. no offense. but seriously... he's the male version of MGY. they rarely choose a good script.. so i really hope this one do well. i hope it'll get better and better... i cant wait for the next episodes... fighting! MissLee Oct 28 2015 1:14 am sorry but it's soooo freaking boring! i'm bored to death watching the first episode..not gonna watch the next one..except for leedongwook, there's nothing much to see! imelda valle Oct 19 2015 8:33 am I been waiting for LDW korean drama after Iron/Blade Man.. Great to to see you again LDW..
ARA007 Oct 18 2015 6:38 pm Waiting for this episode Lee Jong Hyuk? He became...? @romance: no offense too...i enjoyed watching blade man but i stop watching at ep 11......but hotel king..yes..that drama is amazing..great plot, great acting, great chemistry...looking forward to this drama plus it was JRW new drama since 2013.
p/s: suk2014, i seldom watch running man coz i always fighting over the tv remote with my little bosses. romance Oct 05 2015 10:31 pm No offensive but Blade man was amazing,so is hotel king,he is just amazing in everything he does. 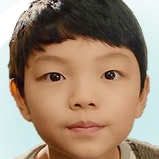 Anna Oct 01 2015 9:39 am I am a huge lee dong buff right now. The guy is so natural in his acting. Looking forward to seeing bubblegum. suk2014 Sep 21 2015 4:12 am Biejay: im lose my think there. Actually, I mean "I dont think kim hyun joo, kim sun ah, song ji hyo, lee dae, shin se kyung unpopular actress." Btw, kim hyun joo, lee dae hae is my favorite actress. Fyi, i dont miss single episode of running man. Biejay Sep 21 2015 2:57 am @Anna : they are not "not so famous actresses". You just didn't watch their dramas. Try searching their name in google, you can see some of his cos has won few awards, eg: jung reo won, shin se kyung, etc. @suk2014 : i assume you don't watch running man. hopefully, this drama is not like those typical rom-com kdrama. The trailer looks cute. Lee dong wok last drama i.e. blade man is quite disappointing, so hoping for this drama to be good as hell. ran Sep 20 2015 6:58 am Looks fun. Hope it'll deliver. I like the pairings. They look good. suk2014 Sep 19 2015 9:10 pm Anna: I dont kim hyun joo, kim sun ah, song ji hyo, lee dae, shin se kyung unpopular actress. Anna Sep 19 2015 5:19 pm is it me, or lee dong wook seems to always had a role with a not so famous actresses? mica Sep 10 2015 10:48 pm jung ryeo won really looks like lee min jung in the picture! az90 Sep 09 2015 7:34 pm Lee jong hyuk fighting!! :) junsu appa..
bogums Sep 09 2015 6:28 am kim jung nan is reuniting with lee jong hyuk aaaaw and can dongwook hit real daebak with this this time a round i'm looking forward! ashun Aug 25 2015 12:21 am Lord yesssssss!!!!!!!!! Missed Jung Ryeo Won. Definitely gonna put this on my must watch list. Idk how i feel about Dong Wook since I haven't seen any of his work but hopefully he delivers well here. salma Jul 24 2015 4:15 am Is this drama going to be the second its okay thats love? But still, jung ryeo won is a must for me. She just so gorgeous. tuin Jul 22 2015 11:11 am Has Jung Ryeo-Won gained little weight? She looks heavier in Lord of Dramas and Medical Top Team. Her face looks slimmer in My Name is Kim Sam-Soon.